In 1973, Pete Shepley & Mike Brand recorded an unreleased album which included post-Chelsea Michael Benvenga, a pre-Kiss Peter Criss, and on two songs Gene Simmons as session musicians. It was titled Captain Sanity. 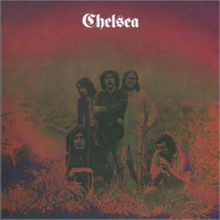 ^ a b "AllMusic overview-Chelsea". Retrieved 2009-01-25. ^ "Kiss FAQ-Peter Chriss". Archived from the original on 2012-05-29. Retrieved 2009-01-25. This page was last edited on 12 September 2018, at 03:25 (UTC).